I was ordained as a Buddhist monk in 1964. The New Jersey temple community encouraged and helped me to achieve my goals that I had in my mind when I was ordained. My first mission was accomplished when we built the Samadhi Buddha Statue. The annual Poson Celebrations to commemorate the introduction of Buddhism to Sri Lanka by Arahath Mahinda will be held at the New Jersey Buddhist Vihara on Sunday, June 03, 2018. You have a great opportunity to offer a cheevara to the Siri Pathula of the largest Samadhi Buddha statue in North America. You will have the privilege to walk up to the Siri Pathula of the Samadhi Buddha statue and offer a cheevara which is a great meritorious deed. Following the cheevara offering, you will have the opportunity to dedicate merits to your departed loved ones. Natthi dani punabbhavo. - No rebirth for me." On this day, you have the opportunity to bathe a statue of the baby Buddha to make your wishes come true. Please bring flowers, candles, incense sticks, and gilan pasa (juice) for mal peraera. Please bring any Vesak and lanterns decorations to decorate the temple. Thank you in advance for your generosity. If you have any questions or If you are interested in contributing for the Dana please contact NJBV at 732 821 9346. The temple is scheduled to have 2019 Sinhala and Tamil New Year celebration on both Saturday April 13th and Sunday April 14th. Please note that on Saturday we will have our traditional religious activities at the temple. On Sunday, April 14th we will have New Year games/sports for kids and adults. 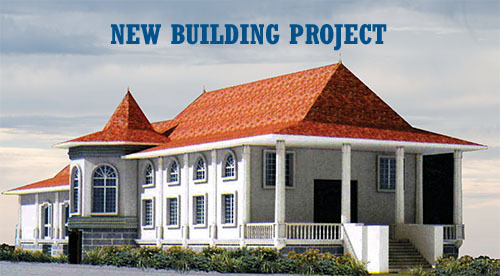 However, we will not be able to have this event at the Vihara premises as the construction work of the new building is in progress. As an alternative, we will be using the Roosevelt park in Edison, which is equipped with bathroom facilities and other shelters where we can have this event. The cost to use this facility is $198. We must also buy little presents/gifts and trophies for kids, which will cost around $300. To cover these costs, we must collect around $500 from contributions. To make it a more traditional, we would appreciate if you can bring in any food/sweets such as kiri bath, kewum, kokis etc. We also think that it is better to start the event around 1:00PM so that we can avoid issues with lunch arrangements. We have also decided that it is important to have a headcount beforehand so that we can organize the event more efficiently. As such, we would appreciate it if you could complete the attached google sheet indicating your participation, which is highly recommended. It would also appreciate if you could contribute to cover the cost associated with the event and any items that are necessary for the sports activities. Please note that this event is mainly organized by the temple and we would appreciate and encourage everyone’s support and participation in this once-a-year ritual that brings Sri Lankan culture and traditions together. We are also looking for volunteers to work as a team to get this event organized in an orderly fashion. Please complete the attached google sheet and respond back by March 24th if you are interested in volunteering to be in the organizing team. Dana , Pirikara & Kapruka items are listed in the spreadsheet below. Please select the items you would like to contribute from this list. Kindly, we would like to invite all of you to take part in the volunteer service (Sramadana) at the New Jersey Buddhist Vihara on this Saturday (July 28 , 2018 )) from 10:00am to 5:00pm. If you would like to participate please contact the temple at 732 821 9346. 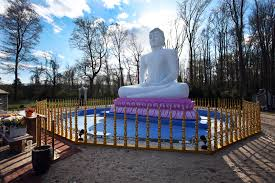 The New Jersey Buddhist Vihara is dedicated to serve Buddhists, as well as non-Buddhists in the United States, essentially for religious, cultural and social purposes. The proposed new building, the NJBV Meditation & Activity Center, will serve everyone -- irrespective of age, gender or creed. The Meditation Center will teach and practice traditional meditation techniques, and will also be a center for intellectual pursuits, including the study and practice of meditation and inter-faith dialogue. As part of our mission, we will encourage scholars and practitioners of all faiths and denominations to visit and interact with us. The overall goals of the NJBV will be to serve all of humanity at a time of need - particularly when one is emotionally distressed. It will cater to a wide range of people, from pregnant mothers and young children to adolescents, adults and the elderly. For people who undergo stress in all stages of their lives-- be it acute, episodic or chronic - the NJBV will be a healing center. Some of our stress management programs will be aimed at curbing emotional distress: a combination of anger, irritability, depression and anxiety, constant worry, poverty, egotism, dysfunctional family life, unhappy relationships and childhood trauma. Death is a common perimeter that all of us have to face. Dealing with death, and going through the process of losing a loved one, is one of realities in life we all have to experience. Our programs focus on how to overcome the sorrow and sadness from the loss of our loved ones. In recent years, the media have been saturated with articles on the problems facing today's teens, including drugs, alcoholism, school drop outs, teen pregnancies, gangs, violence in schools, sexually transmitted diseases, poverty, racism, suicides, HIV/AIDS, illiteracy and truancy. We will have ongoing programs to meet the needs of all of the above. We will cater to those who feel isolated and lonely or who complain that “nobody is listening, and nobody really cares.” Instead, we will listen to their needs and provide a place for them in finding consolation. Divorce is another form of stress and grief on all parties involved. The breakdown of a family is one of the most pressing issues facing the current generation, followed by violence in neighborhoods and communities, along with poverty and global warming. Shocking statistics tell us that within the United States, the divorce rate hovers around the 50% mark. This is a phenomenon that is gaining momentum all over the world. We will offer classes, workshops and interact with parties involved in divorces. The anger management programs will make a difference to our day-to- day life. Old people have been held in great respect by Buddhists who have traditionally looked after them with devotion, but unfortunately socioeconomic problems are eroding this. They need to be cared for, have a social network and be happy during the golden years of their lives. We will have programs designed to entertain and care for them. This project is something that we could complete in a short period of time. The overwhelming support from our temple community is encouraging and the vision they have makes the difference with regard to funding the project to completion. . Therefore I only request you to participate with loving kindness and compassion. (Metta and Karuna).